Wow! It’s been a year since this journey begun. We can barely believe it, but it’s an awesome celebration, though. All of us learned a lot when thought it was it. Social Media became more powerful and open since Instagram Stories arrived. 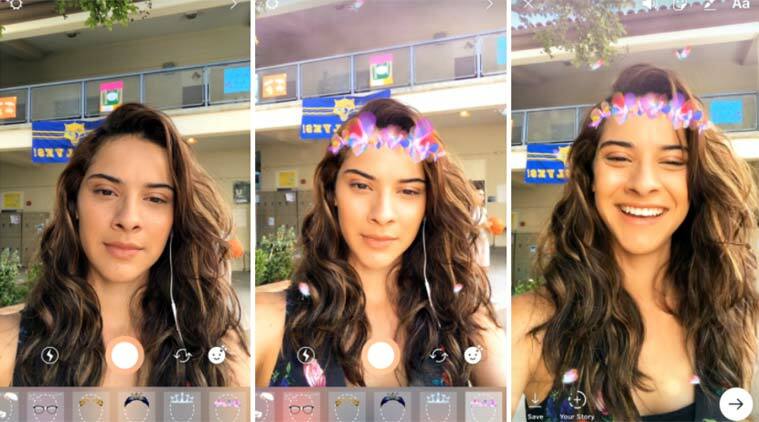 Although Snapchat took the first step, Instagram knew how to turn it into a unique thing. And what a phenomenon! We learned how to become more visual and story provocateurs. Characters and incredible scenes appeared, empowering brands who took it seriously. A new era of value content started, and cultural appreciation is on the rise. Emotional content relevance is a powerful statement now we have to fulfill. So, here’s five fundamental lessons from this year. Since last year, we’ve seen and listened to the word “storytelling” a lot. Indeed, it wasn’t all for nothing. Instead, it was an open warning for us to keep it present every day. For those who still don’t know about it, we’re going to explain it in a simple phrase. Storytelling is the art and science of creating a content argument on a consistent and emotional story to relate with our audience. Even though when it may seem simple or nonsense, it isn’t. On the contrary, it is an endless source if you know how to use it. 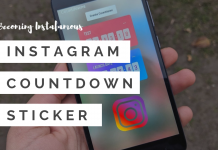 Therefore, Instagram considered this as the main key for the feature of their success. Storytelling is the basis of Instagram Stories, and it was helpful for companies to understand this method. There’s no ending soon for it, so you better catch up and start planning. Create emotional and relatable stories to enchant your audience. Even though we know, we need a Social Media calendar, and planning, we still don´t get one thing. Instagram Stories need even more than the mentioned before. It needs even a storyboard and a whole new and creative way of design. Closer is the day when we are able to interact with the stories in gaming formats. Thus, it’s time to think every move carefully because it will separate you from the rest. We know you’re laughing because it’s true. There’s a desperate need to fill our likes field. Thence, we need to take the best from our best posts, right? Although Instagram Stories now has filters, we still want to use Snapchat’s. And it’s ok, don’t feel guilty, we know Instagram Stories still has a long way to ride. So, keep doing what you’re doing, but don’t overuse it. Meaning, please stop yourself from posting 10 Snapchat’s videos on your feed. Otherwise, it would not make sense for your followers, and it could be annoying. 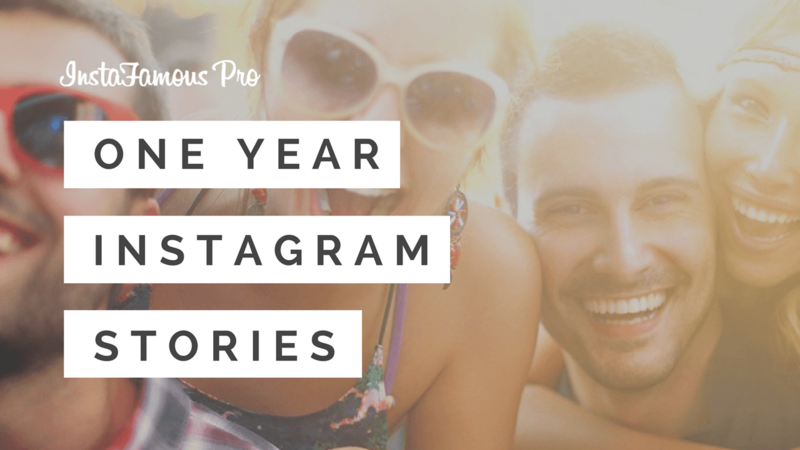 If we learned one thing from Instagram Stories this year, it would be that we need to celebrate our steps. Thanks to the new algorithm it became harder to mark through our regular feed. Hence, we need to post our celebrations on our stories. Furthermore, we can use stickers for a special occasion like the 4th of July, and adapt it to our content. The sticker party may be collective, but we can create our unique story to share. It’s also a perfect feature to award our followers with contests, special content, and surprises. Also, thanks to Live streaming we can take the stories to another level. We can give to our audience a close view of our shows, events, making of and backstage scenes. Ultimately, we provide our followers with the perfect brand intimacy while interacting in real-time. Don’t take anything for certain. Just one year passed, and it was just a test phase. What’s yet to come, is even better and advanced. We’re just polishing our new storytelling abilities, but there are more innovative techniques on the way. Don’t forget we haven’t tried all of AR yet, and all the future has for us. So, you better see this year as your free month trial on Storytelling for Social Media because it’s going to get harder. Hard doesn’t mean bad. All the opposite, it means we’ll have a better experience and relationship opportunities. We just need to work our visual language and study our field. Competition now is overrated, what we need from you is creativity. Despite the fact that Social Media seems to become more robotic, it needs to be more human. Thank you for sharing your time with us and grow together, we’re also glad to be part studying the evolution of Social Media history next to you. 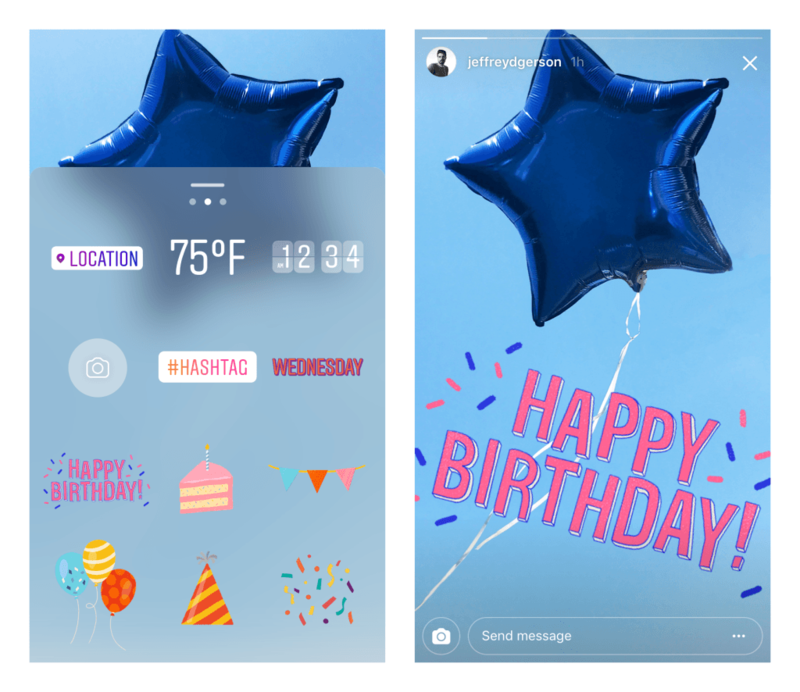 Moreover, we expect next year of Instagram Stories to be all about futuristic and surreal updates!